As a 5 year old I was often found in front of the wooden framed Townsend TV watching my favourite cartoons like He-Man and Dungeons & Dragons, I was also into sport, mainly watching football (soccer!) at the time but in the year of 1983 I came across a new sport on the telebox, Channel 4 had starting showing this thing called American Football every Sunday night. The first time I watched it I was hooked, the games within a game, the fast pace, the hard hits, skills, tactics, plays and the kits and colours on show…..it was magic. I was drawn towards the colours and badge of the Redskins and when I saw Art Monk play for the first time, teaming up with Joe Theismann, I was sold on the team from Washington. 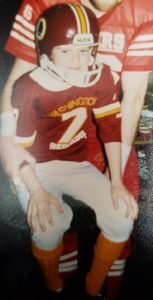 Shortly after I ‘persuaded’ my parents to purchase a youths Redskins kit, at the time Debenhams had twigged onto the new craze from America and I was then the proud owner of a replica #7 outfit. Over the next 7 years I continued to follow my new sport, my friends called me ‘weird’ for my love of it, they just didn’t get it. My brother caught the bug for a while, choosing the Chicago Bears as his team, mainly due to William Anthony Perry AKA ‘The Fridge’ and his big hits and occasional rushing, big guys in the back field would never be the same again. Around 1989/90 I became aware of a youth team training and playing just down the road from where I lived, the Manchester Spartans had based themselves at that time at Hyde United’s ground and infamous artificial pitch, it was more of a sandy beach than a pitch really. I plucked up the courage to attend a rookie youth session, as a skinny but pacey kid the Coach asked if I could catch, “I think so” was the reply and off to the wide receiver group I went. For the next 3 years I continued to train with the youth team, we played the occasional non contact game, against who I can no longer remember. I also became a kicker at the time, but special teams was not a part of the youth plans at the time. What I can remember is that the playbooks were much smaller and much less inventive than Coach Carltons. We still had a lot to learn from our cousins across the pond in those days. The helmets were heavier too, I was often asked at school why my whole body turned with my head. I also found a new hero during this time, the adult team had a great lineman who often attracted MVP, his name……..Rick Hughes. Around 1993, I was 15 and other things started to catch my eye, the guitar and drums in particular as well as the emergence of brit pop following such bands as the Stone Roses and the desire to be the next Gallagher. The training sessions at Spartans also started to dry up, the combination of both led me to stop playing, a regrettable decision looking back but I’m a true believer that everything happens for a reason. I continued to follow the game and my Redskins, but the successes of 1982/83, 1987/88 and 1991/92 were never repeated, I had high hopes in 2012 only for them to be dashed by Seattle in the first playoff game and the situation repeated itself in 2015 thanks this time to the Packers. In 2016 my dream came true when the Redskins matched up against the Bengals at Wembley, seeing them live was a great experience in an exciting 27-27 tied game (yes we lost, thanks Dustin Hopkins, but remember kickers and holders are people too!). This re-sparked my passion to be involved and playing. 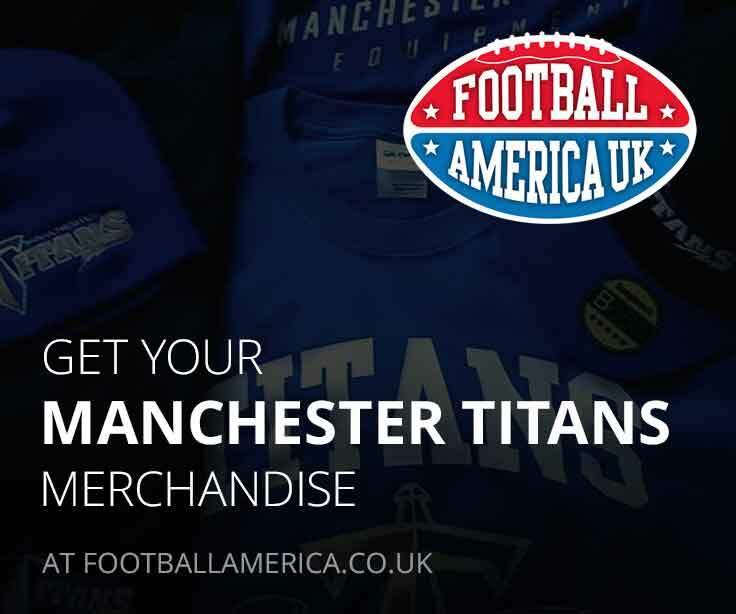 A quick tinterweb search later, I found the Spartans had ceased to be but an amazing programme had emerged under the Manchester Titans banner. I was giddy to see that Britball had grown from ‘my day’ as well, 3 divisions North and South with teams from all over the UK. A quick message via Twitter (which I now know was Verity) and I was welcomed to attend a training session. With no proper kit, I turned up, nervous. The venue was impressive, Belle Vue Stadium was not how I remembered it, now its a modern sports complex, hosting various sports including speedway, basketball, martial arts and of course…..the Manchester Titans. Again, I was welcomed, this time by James Dean who explained the session and set up, I remember thinking I must look like a deer in the headlights, but I went with it and JD made me feel at ease. My first few sessions were out of kit and thanks to some advice from established players such as Scrappy, George, Fresh and Thor (we had a beard romance in my mind) I had taken a trip to EP Sports and picked myself some new kit and gloves, my 10 year old lad was so excited in the shop and yes as you all know, I could have spent a small fortune. I was trying out as a wide receiver, my old position. Although I could still catch and had some pace left, my 38 years on this earth were starting to show. The other guys were impressive, they were fit, fast, had good hands and knew the routes. I was fascinated. Watching them combine with Bloomers was something to see. I knew I was once again a ‘rookie’ and it would take time, I was aware I was helping to push all the other receivers and my head was stuck in the ever evolving and also impressive playbook whenever I had a spare 5 minutes, I was improving thanks to the knowledge and support of the Coaches (Pete, Luke, Alex and Sam) and experienced players. Being able to chat with fellow rookies also helped, Rick and Adam made me feel better knowing my concerns were also theirs. When we moved to full kit my excitement hit the roof, cut blocks went live and full contact was in play. Just as much as I loved it, my body screamed back at me, following a big hit by Shark it took a number of days to feel my legs again, I couldn’t remember when I started to need extra recovery time, the realisation I was getting old. The next week my ankle gave way just to prove the point further. It was during this time I was paying more attention to the kicking team, at that point it just being Aaron and Coach Stretch. After a short conversation I was trying out as a holder and doing some ‘back up’ kicking. It clicked straight away, I needed to work at it but we all saw the potential between us to improve the kicking team and I was more than happy to play my part for the team. The promise of some fake plays during the season also helped! 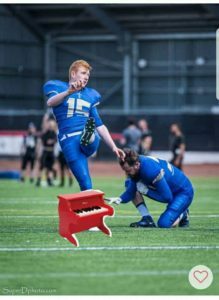 I wanted to improve my punting skills, that I’m still working at, but after Kinder’s punts this year, especially vs Leicester and Olympians, I have my work cut out there. As this year progressed, Aaron and myself worked hard, with Alex on snapping duty, to improve the timing, pace, procedure and accuracy of field goals, in the main trying to relax and trust our skills and coaching. Stretch was coaching us all whilst also respecting our opinions and thoughts, a great combination for any teacher, I was also very pleased to find out I was younger than him!. The improvement of the now referred #kicksquad I feel has been plain to see this season and we will continue to progress going forward. 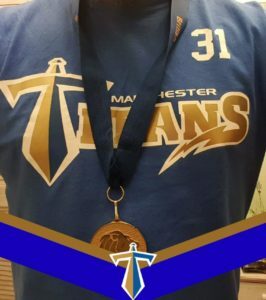 The first time I put on my number 31 jersey and placed the DCALS onto my helmet I was so proud to be part of the Titans family, team and set up. Throughout this season, from Newcastle and Doncaster to Yorkshire and West Coast, being a part of special teams and watching the team play is both exhilarating and humbling, trying to out shout Eloise and Gaz is still something I need to work on but my ‘juice’ is starting to flow. 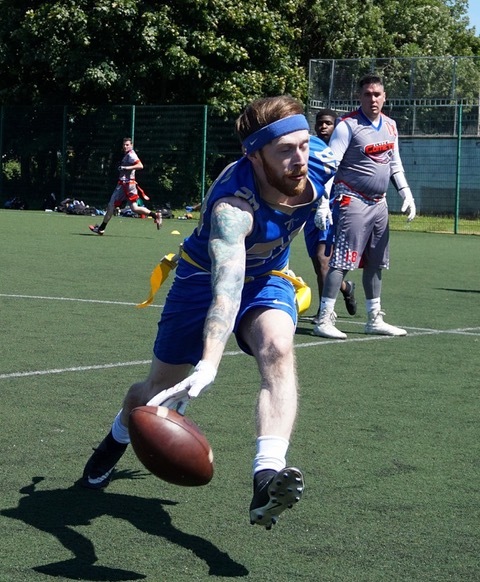 During the regular season we were dynamic and professional and put up some big scores, the whole team played its part, the defence kept scores low whilst also adding points of there own, turnovers were regular and putting the ball back into our offences hands. The offence were a joy to watch, combining the high standard playbook and coaching with athletic and explosive players was a match made in heaven and the whole team brought hell to those who opposed them. The special teams matched this standard, with blocks and returns that I’ve replayed to family members way to many times. 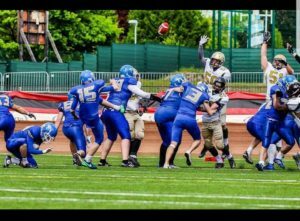 I often find myself watching the team in awe of the standard and skill on show, its then back to setting my crouch and stance, ready for the snap and setting the ball as perfect as I can for Aaron. During my rookie year, although I didn’t want to single anyone out, as well as those already mentioned and the rest of the team, I must thanks George for his words of encouragement during the games and reminding me that my small part is that of a bigger teams objective, something I think we all need reminding of sometimes. Just as important as the deep and serious support within the team, the banter is also what sets this team apart from others, so I was just as happy to be on the receiving end of some memes this season. I look forward to training with the Titans, I still throw my body into 1 on 1’s and drills and when I’m thrown to the ground I know the better person won and yet I’m still improving them, I am pulled off the ground with a quick hand tap and mutual respect and we move on. When we win I hear the support of my team and yet tips to improve are still forthcoming, we all have a part to play, whether its on the field, on the side of the field, in training or in the ‘background’ . Even as a holder this year, tackles were required following blocks, all the training comes out on the pitch at some point. When the playoffs came, the Titans stepped it up when it mattered, the Coaches challenged the whole team and they responded, as they always do. 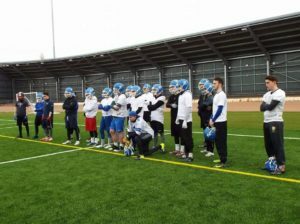 The Steelers came to town first and fell, 29 -12 and we marched into the semi finals where the Falcons were waiting. A trip to Leicester and a tough game ensued, but we came out on top with a 27-21 victory and promotion was clinched. What a feeling. A National Final. Nervous…..just a little. This time the London Olympians were the opposition. We were focused, prepared, well coached and ready. The atmosphere in the locker room beforehand was inspiring and we brought it onto the pitch. Division 1 National Champions was the reward for a long and tough season, well done and congratulations to everyone involved. The Titans are a family, seeing the younger players train and play is a privilege and I tip my hat to all those involved in the youth set up. I salute and thank all those who put the work in ‘off the field’ to make this such a successful club. 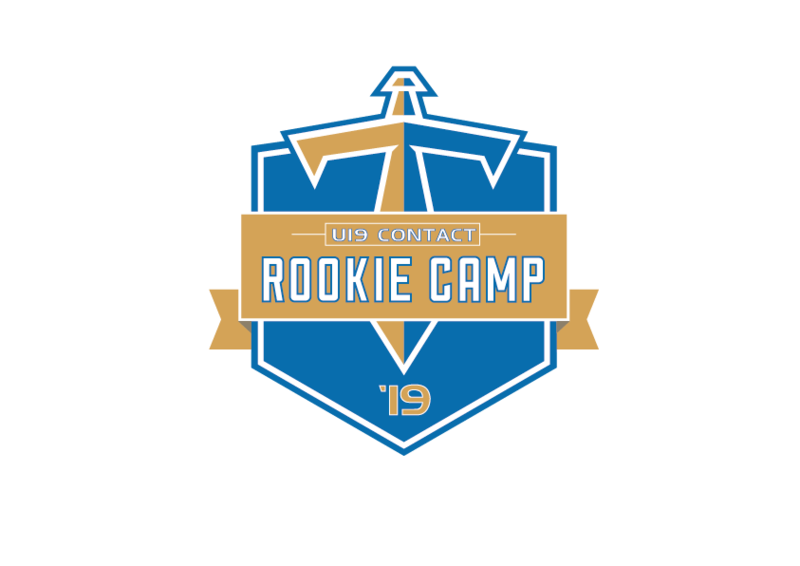 Finally I thank all those who helped the rookies settle in this year and made us feel welcome. Here’s to balling in the Premier.